SQuAD-it – A large scale dataset for Question Answering in Italian is now available. SQuAD-it is derived from the SQuAD dataset and it is obtained through the semi-automatic translation of the SQuAD dataset in Italian. It represents a large-scale dataset for open question answering processes on factoid questions in Italian. This dataset contains more than 60,000 question/answer pairs derived from the original English dataset. New paper accepted to ACL 2017 from the SAG crew! The paper “Deep Learning in Semantic Kernel Spaces” authored by D. Croce, S. Filice and R. Basili has been accepted for publication at ACL 2017! IJCAI 2016 Paper from SAG’s members!! has been accepted at IJCAI 2016 as a Full Paper. Given the 2,294 submissions, acceptance rate at IJCAI 2016 has been 25%. SAG with Reveal @ Maker Faire 2015, Rome!! 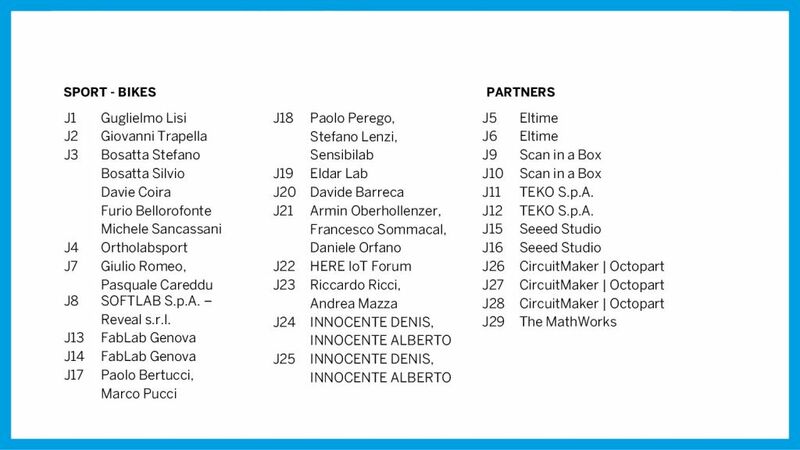 The SAG group has contributed to Maker Faire 2015, in Rome, by supporting the Reveal team in the release of Giulia, a talking avatar. At stand J8 Giulia can talk with users about “L’eleganza del Cibo“, an exhibition, supported by the Gattinoni firm, about the Italian way to fashion and food. The exhibition is held at the Marcati di Traiano, in Rome in May-October 2015. The thirteenth Symposium of the Italian Association for Artificial Intelligence (AI*IA) will take place in Pisa, Italy, from 10 to 12 December 2014. It will be hosted by the Department of Computer Science at the University of Pisa. CLiC-it, is the 1st Italian Conference on Computational Linguistics aiming to establish a reference forum for research on Computational Linguistics of the Italian community. CLiC-it 2014 will take place in Pisa from 9-10 December 2014. The Italian Computational Linguistics Conference, will be co-located with the XIII Symposium of the Italian Association for Artificial Intelligence (AI*IA 2014), including the worskshop EVALITA 2014.